The School of the Old Forge Ballet Company announces Fall registration for returning and new students in the Old Forge and Forestport areas. The school will open on Thursday, September 10 in Forestport and Monday, September 14 in Old Forge for the 2015-2016 season. This entry was posted in admin and tagged Old Forge Ballet on August 27, 2015 by Gina Greco. The Inlet Area Business Association is sponsoring a raffle for an Inlet vacation package. This entry was posted in admin and tagged IABA, raffle, Vacation package on August 27, 2015 by Gina Greco. Jamie L. Mihalko and Adam J. Reynolds were married at the Boonville home of the bride’s parents on Saturday, August 22, 2015 with family and close friends in attendance. 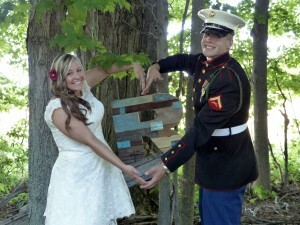 The bride is the daughter of Audrey and James Mihalko of Boonville, NY. She is a 2005 graduate of Adirondack Central High School and is a nurse at Duke University Hospital in Raleigh, NC. The groom is the son of Lisa and Rick Backer, also of Boonville, and the late Dave Reynolds. A 2006 graduate of the Town of Webb School in Old Forge, Adam is now in his third year in the U.S. Marine Corps. He has served overseas in Japan and South Korea. The couple resides in Raleigh, NC. This entry was posted in admin and tagged Wedding Announcement on August 27, 2015 by Gina Greco. OLD FORGE. At the upper end of the “Fawn’s” voyage, a “carry-all” stage takes incoming visitors on to the new and handsome Forge House [built in 1871, burned in 1924], a mile distant, which overlooks First Lake. This hotel is conducted by Messrs. Alger & Kitts [succeeded Joseph Harvey], and is one of the most attractive places in the woods. This entry was posted in admin and tagged Herr-Story on August 27, 2015 by Charles Herr. 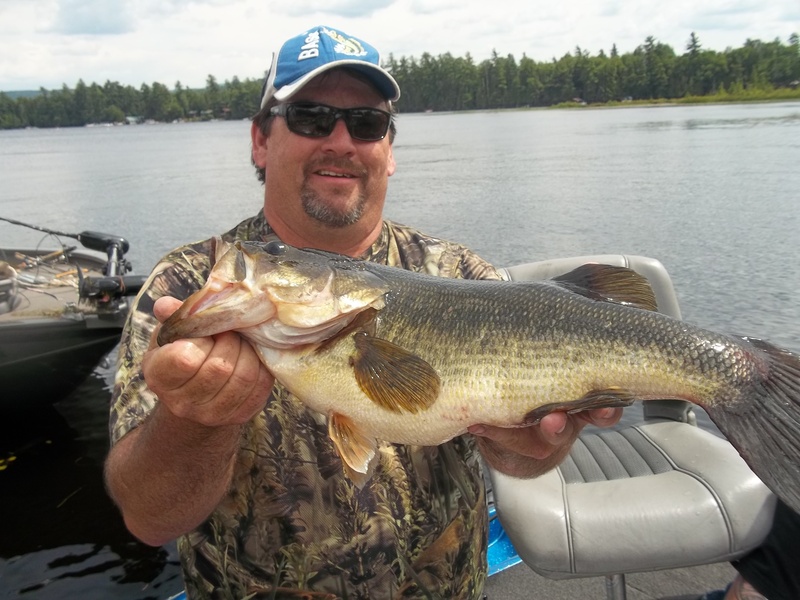 This entry was posted in admin and tagged Annual Bass Derby, Raquette Lake on August 27, 2015 by Theresa Taylor. The Mission Boutique and Capital Campaign teams of Niccolls Memorial Church are very grateful to everyone who supported our Silent Auction and Chicken BBQ fundraiser on August 1st with generous donations of artwork, goods, gift certificates, time, talent, and publicity. This entry was posted in admin and tagged Card of thanks on August 27, 2015 by Gina Greco. The featured local artist of the month is Loretta Lepkowski who will be exhibiting her portraits of real working people and farm life. This entry was posted in admin and tagged September programs, woodgate library on August 27, 2015 by Gina Greco.